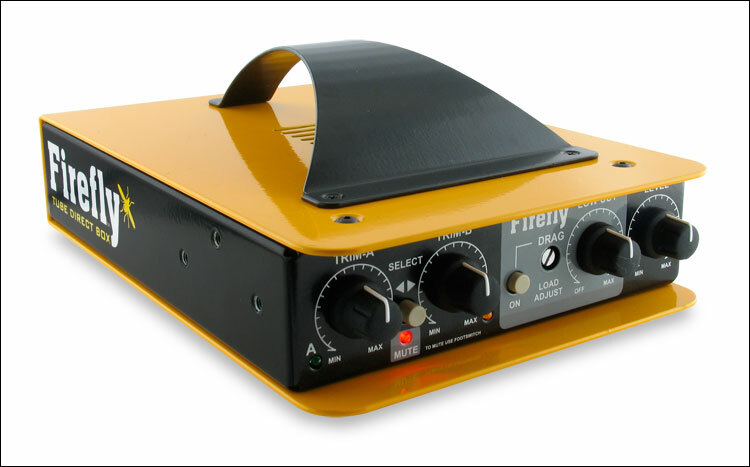 The Firefly features A and B instrument inputs with easy access level controls to accelerate instrument changes on stage. This enables the artist to switch between two different instruments and deliver a consistent signal to the PA system and on-stage amp. Switching can be done via the front panel or with the optional JR2 remote control. This connects to the Firefly using a balanced cable and adds a mute function for quiet on-stage adjustments. To optimize performance with electric bass, the Firefly is equipped with Drag Controlâ¢ load correction that lets you adjust the load on a magnetic pickup so that it 'feels' as if connected to a tube amplifier. For 'fussy' piezo transducers, Drag can be bypassed to increase the input impedance to 4 meg-ohms to eliminate the squawk and peaks that plague these types of pickups. A fully variable high-pass filter may be dialed in to eliminate low frequency resonance that can cause feedback on stage or muddy sound when recording. The rear panel sports two stacked instrument A & B-INPUTS and a THRU output for the on-stage amp. The THRU offers a choice of pre or post tube configuration. 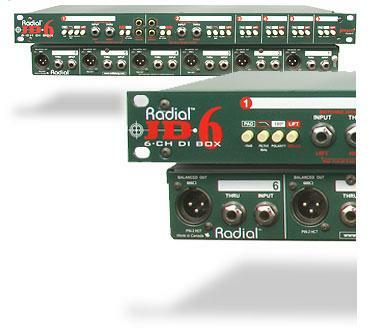 Additionally a TRS insert jack enables external effects to be shared between both inputs. A buffered 'always on' tuner output can be used to split the instrument signal in the studio or it can be dedicated to an electronic tuner. 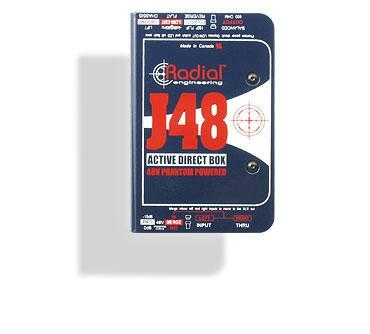 The tuner output can be used for silent tunning when the optional JR2 remote is connected. 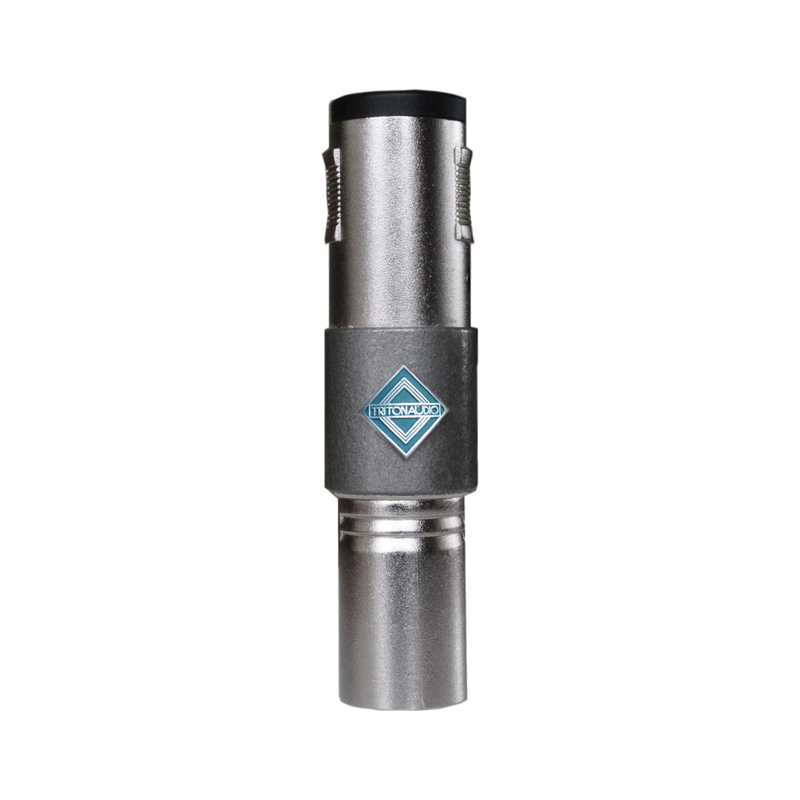 The balanced XLR output is equipped with a ground lift switch to help eliminate buzz and hum caused by ground loops and a 180Â° polarity reverse to tame feedback hot spots on stage or help phase align the PA system with the on-stage amp. The Firefly may also be rack mounted alone or in pairs by ordering the optional 19" rackmount kit. The Firefly combines the warmth, character and feel of a vintage tube device with the low noise and performance of today's most advance audio technology.